You are welcome to fill out our information-request form. 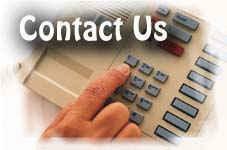 We will contact you in a timely manner after processing your information. If you prefer, you can give us a call during business hours at the phone numbers listed.